Televideo terminals are designed for POS, financial, healthcare, manufacturing and hospitality applications. 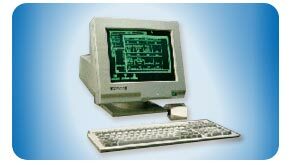 Each terminal features a screen that is high contrast, excellent resolution, low flicker, and non-glare. They are designed and manufactured for high performance, productivity, and reliability.